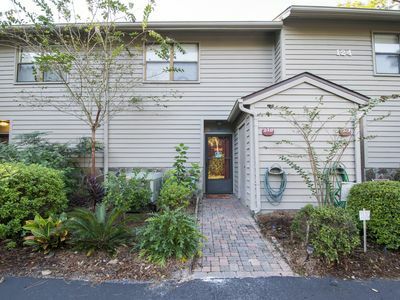 Elizabeach - Heated Private Pool, Heated Community Pool, Grill, Wifi, 30-A! 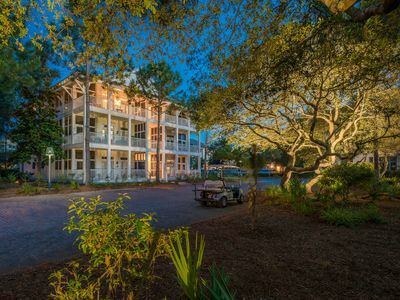 Looking for a vacation rental that is central to all things coastal, yet emanates a private and relaxed feel? 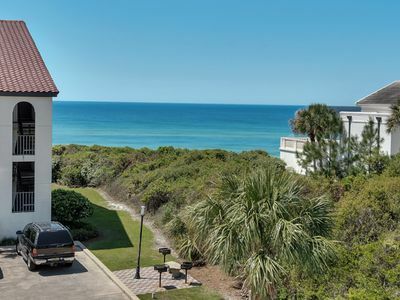 Located in Seagrove Beach, Elizabeach is the perfect place for you! 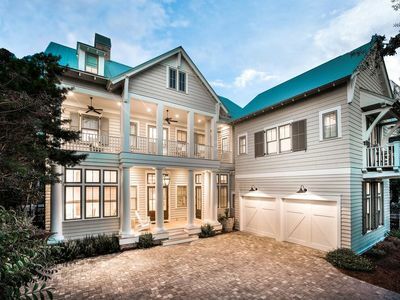 With five bedrooms and four baths, this Old Florida styled home can accommodate up to 14 vacationers. 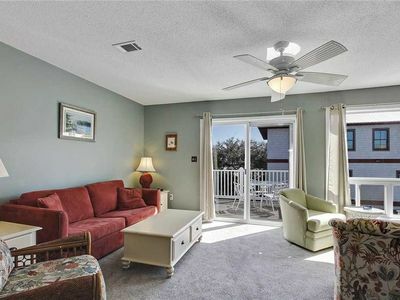 The first floor includes an open floorplan with the living, kitchen, and dining areas. 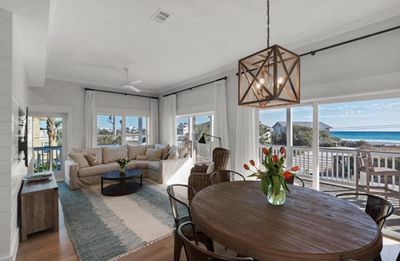 In the living room, the comfortable seating ensemble is comprised of a wraparound couch and two coastal-inspired accent chairs, all of which face the entertainment center. 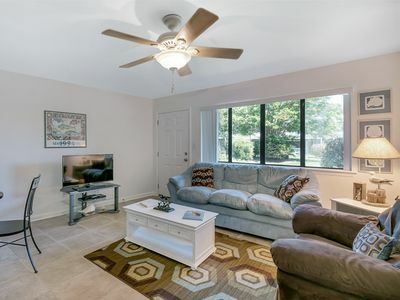 In addition to the TV, this rental includes Netflix access and a variety of gaming consoles, making it great for both kids and kids-at-heart. The nearby dining room features a table with seating for eight, and three additional stools are provided at the adjacent granite-topped kitchen bar. The first floor also includes a guest bedroom with a king-size bed. Ascend the stairs to the second floor, where two guest bedrooms and one master suite is located. One guest room includes a queen-size bed, and the other has twin bunks. The master suite boasts a king-size bed, en-suite bath, and access to the veranda that overlooks the home’s private pool. 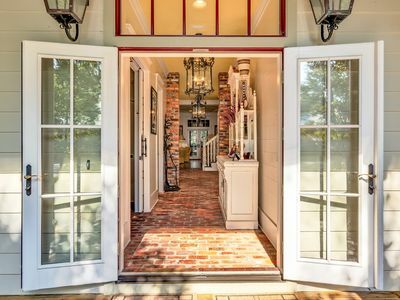 This home has not one, but two master suites. The second may be found on the third level. This suite includes a king-size bed, en-suite bath, and access to a rooftop observation deck. 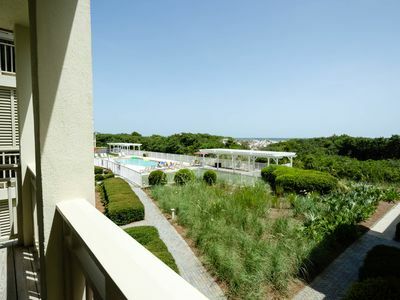 This is a great spot to enjoy expansive views, a tropical drink, and the company of family and friends. 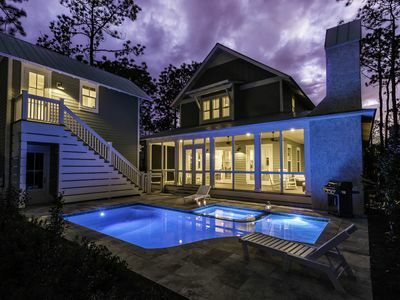 Besides great living quarters, this home includes a lagoon-shaped pool, perfect for a freshwater dip after swimming in the salty Gulf. The private patio surrounding the pool includes lounge chairs, a smoker grills, and tables and chairs for poolside dining. 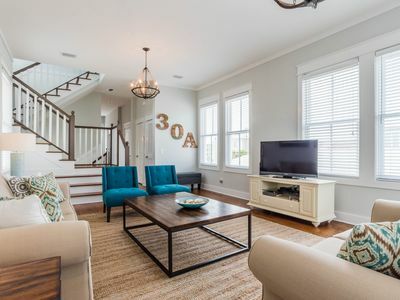 If you feel like venturing into town, this home is within walking distance to a number of restaurants, bars, art galleries, and more. You can even catch seasonal festivals and live concerts during parts of the year! 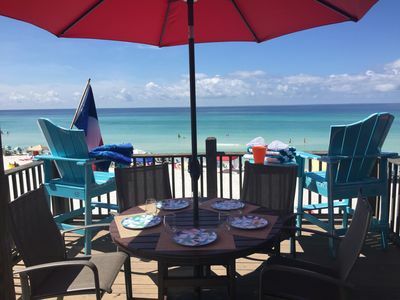 Gulf Side Condo Located in Beautiful Seagrove Beach!! 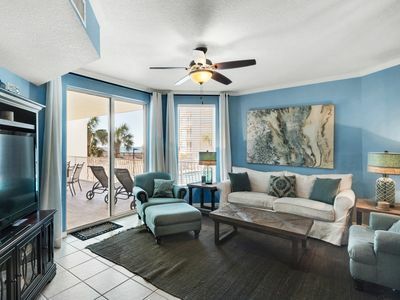 Adagio A403 top floor gulf front condo, four bedrooms, newly updated, pools! 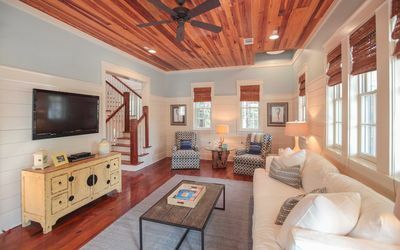 Visit The Blues Traveler-Charming Seagrove Home, Steps to Beach! 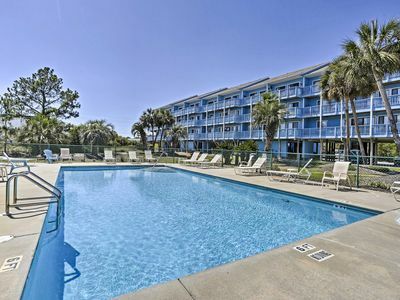 Private Heated Pool and Golf Cart! Brand New Home! 3 King Suites! 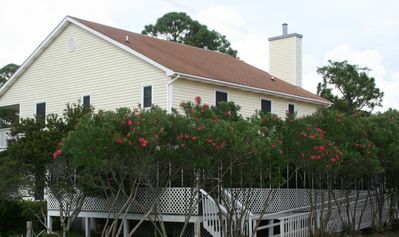 Cottage District, 2 Master Suites, Walk to the Beach! 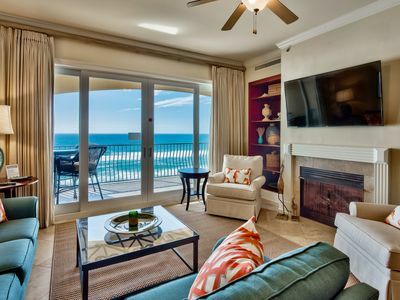 Grayton Place 4 - Prime Location, Steps to the Beach, Next to Red Bar, Book Now! 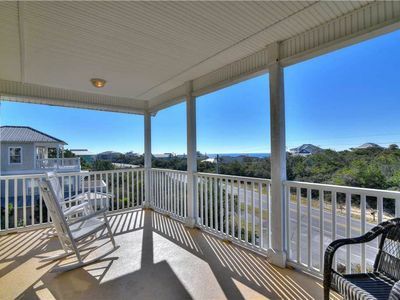 Pelican Watch - Unobstructed Gulf and Eastern Lake Views. 12 Feet from Walkover! 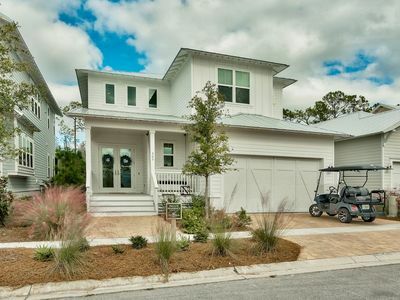 Dunes of Seagrove A106 - Put a little spring in your step!